Loving your work can become an addiction and losing it could become a tragedy. 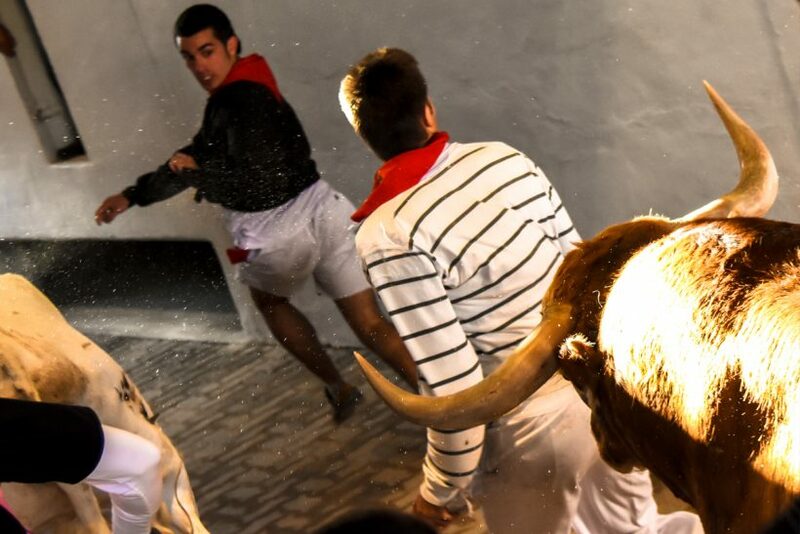 One clear example is the case of Natalia Gómez, a photographer with Sanfermin.com who, in 2015, was able to demonstrate to herself “that your dreams can turn into reality” when she began to take photos of the Pamplona Running of the Bulls with her camera in hand at one of the most dangerous spots along the course – the entrance leading into the bullring. “Taking photos of the Running of the Bulls from the fencing is the most adrenalin-pumping thing I have ever done. It combines a love for the event with a love for photography which all comes with the added buzz of adrenalin that is almost too much to go through “, affirms Natalia. One of the little gems hidden away in the narrow passageway leading to the arena is captured in the first of the snapshots that this photographer chooses. In the image one bull stands out majestically under the rays of sunshine and it invades the picture while some of the runners in front try to find a hiding place or an escape exit even as some others continue to run ahead towards the bull ring. The final Running of the Bulls of Sanfermin 2015 featured the Miura bulls , which turned out to be a very fast event of just 2min. and 5 sec. But it was time enough to provide material for Natalia who, that morning, experienced a chain of emotions: “I will always remember the intensity of that last moment in which a deep sense of melancholy was competing with a wish on my part to stack away in my memory those special moments in my life”. 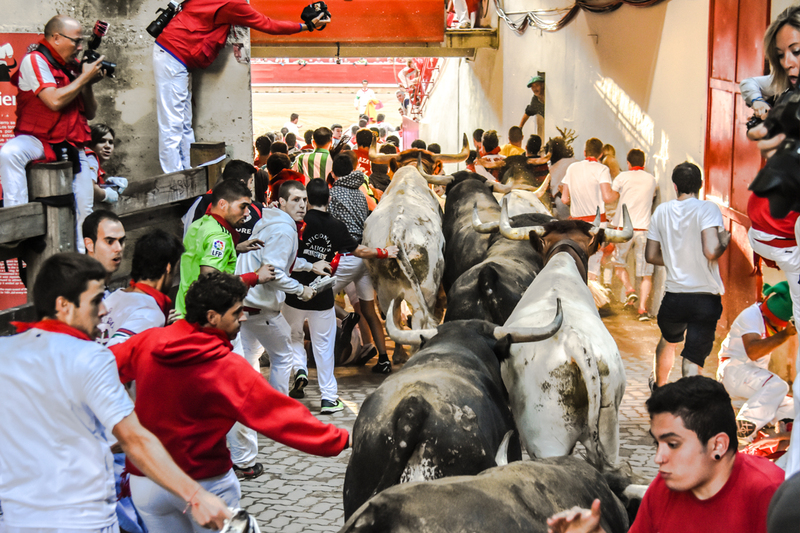 Those privileged moments were coming to a close as the bulls were heading away to the pens inside the bull ring and Natalia sensed that memory will be only thing that she could now keep from the whole experience: “Time, The Running of the Bulls, San Fermín 2015 …all was now fading to the rhythm of the camera clicks… my dream was now becoming a memory which would always remain with me…”.